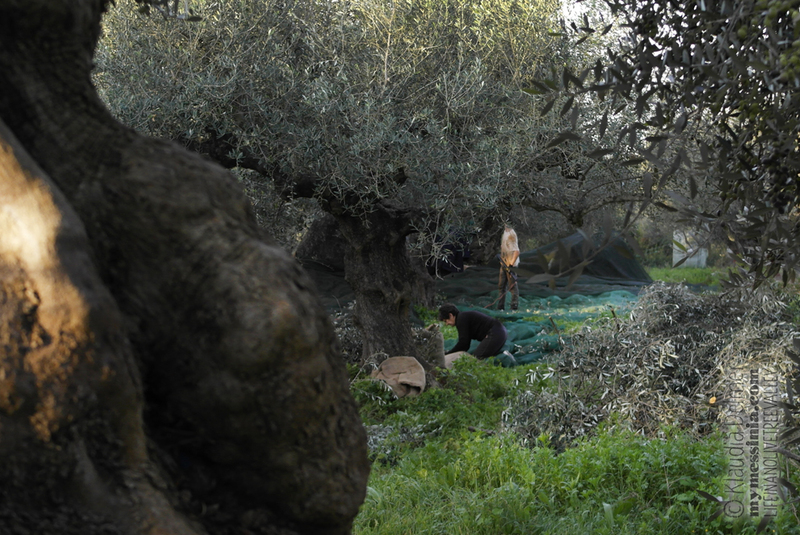 I was unable to write for a while and the olive harvesting season has already passed. 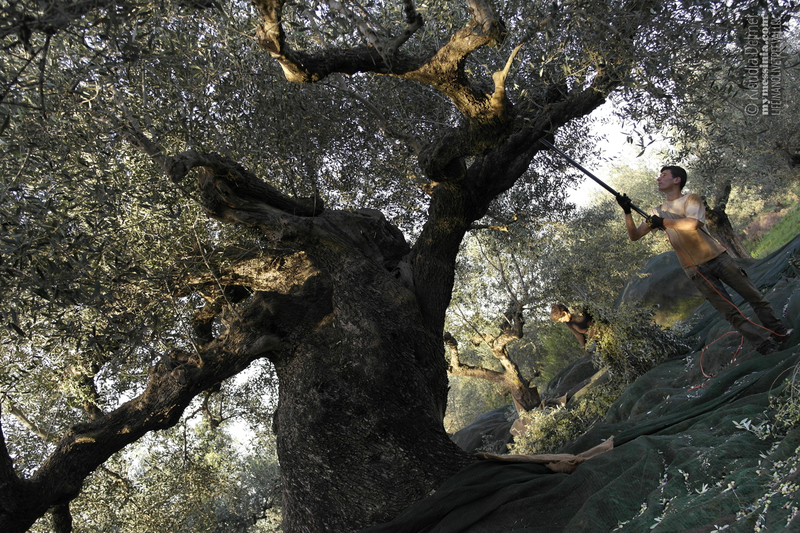 Yet I cannot let the winter go without tackling at least a bit on the subject of olive harvesting considering that it is the most relevant and vital activity for our area. 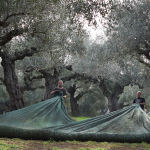 The olive harvest season is quite long around here. It starts as early as the beginning of October and it ends with the first days of February at the latest. It is a very lively period. Suddenly, after the busy tourism driven summer and a slow, relaxing September the valley resonates again with fresh sounds. The “buzzing” starts with the sunrise and comes from all of the valley. 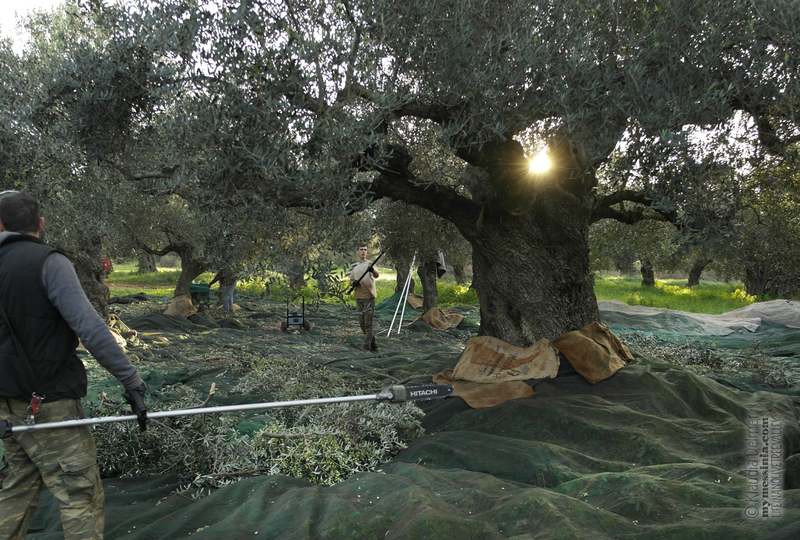 Almost every local has an olive tree to pick so there is a flux of periodical workers coming to the area to help. 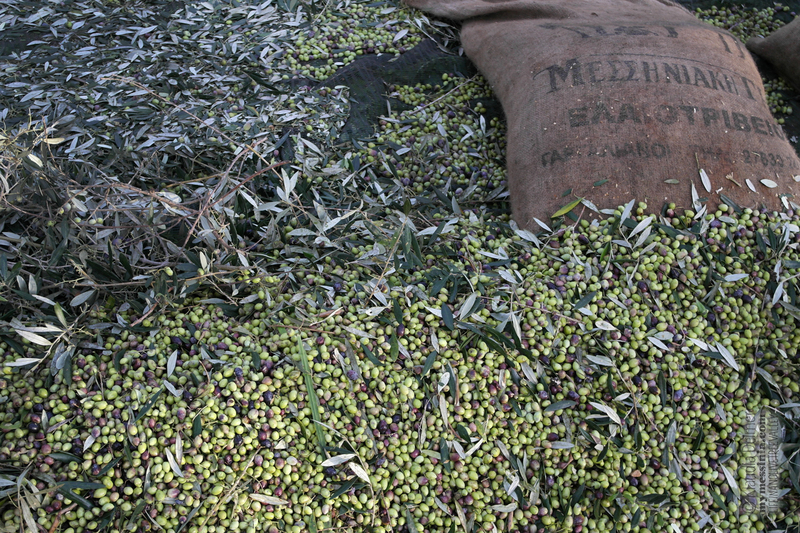 Suddenly on the usually empty roads there is some traffic with pick up tracks carring sacks with freshly picked olives to one of the many local olive oil mills. 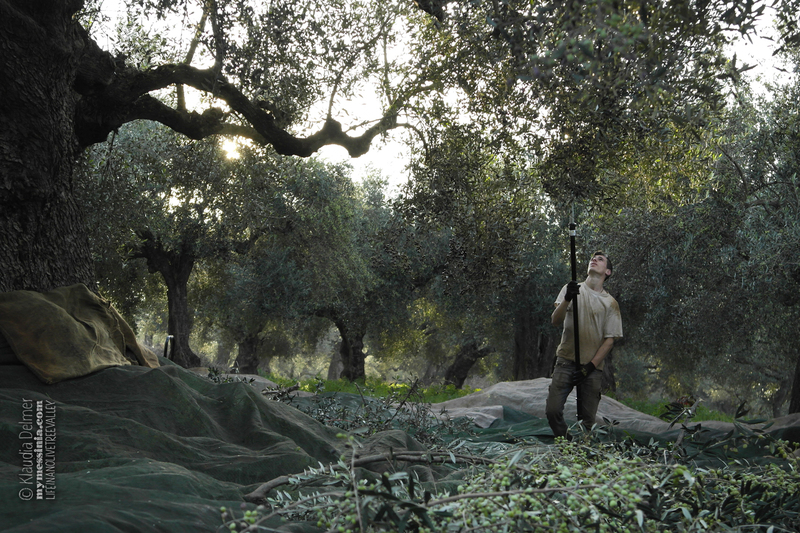 White smoke rises here and there from the multiple bond fires which are burning the branches of the olive trees trimmed in the process of harvesting. 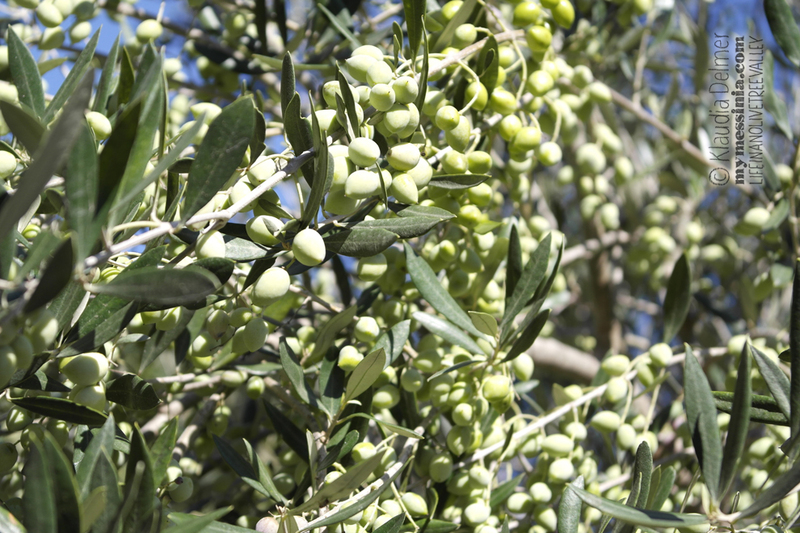 There are two predominant kinds of olive trees here: “koroneiki” (took up its name from a historical town of Koroni) which is used for olive oil production and “mavroelia”(black olive) used as edible fruit. 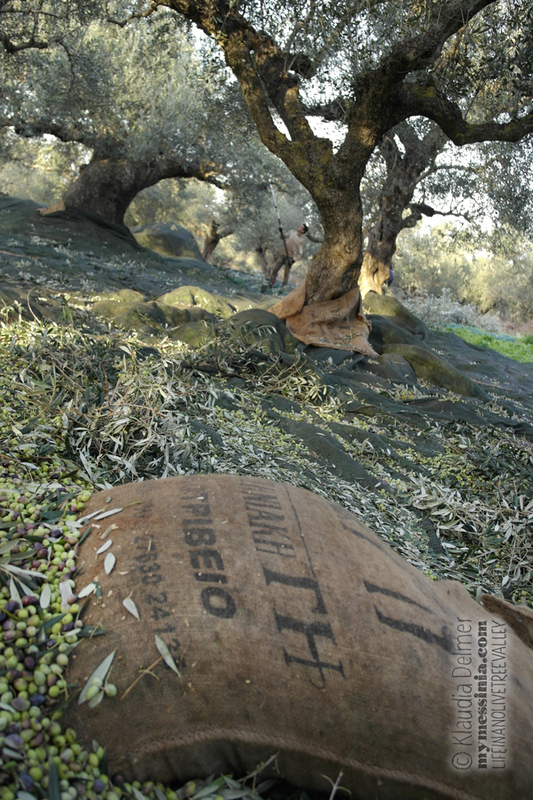 They both have a rather small size olive fruits, nothing like the famous Kalamata olives, which by the way is the region’s capital. 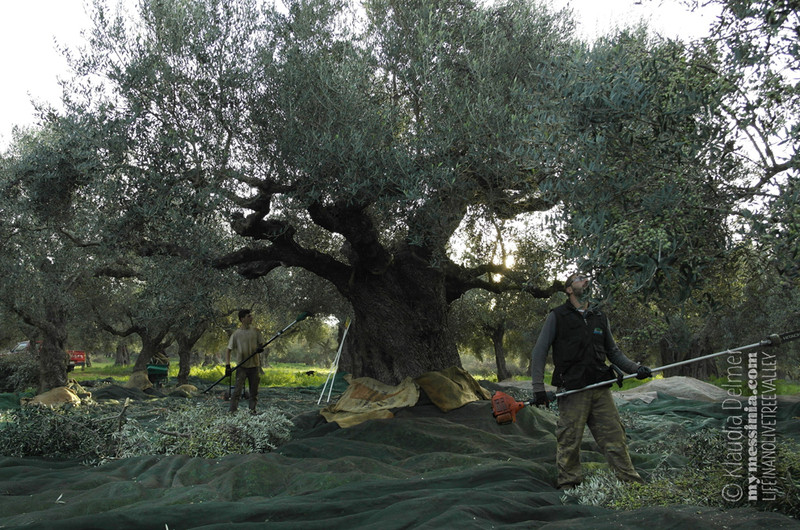 This season crop has been very abundant, one of the best in decades, as opposed to last year’s when the olive tree flowers have been destroyed by Sahara winds leaving the trees barren for the harvest. Your photos are amazing! This harvest thing looks almost religious in those. Thank you Denise! 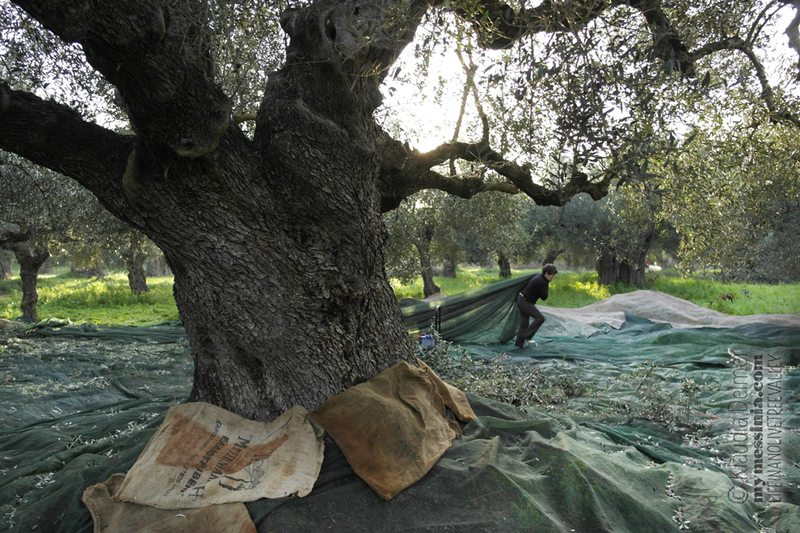 Yes, olive harvest is done almost like a ritual considering that the harvest technique has not changed sice thousanhds of years. 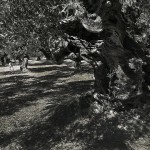 Those beloved trees thats surround you- i’ve been ‘inside’ that grove of trees, is like being on another planet. The most beautiful of planets. What oil. 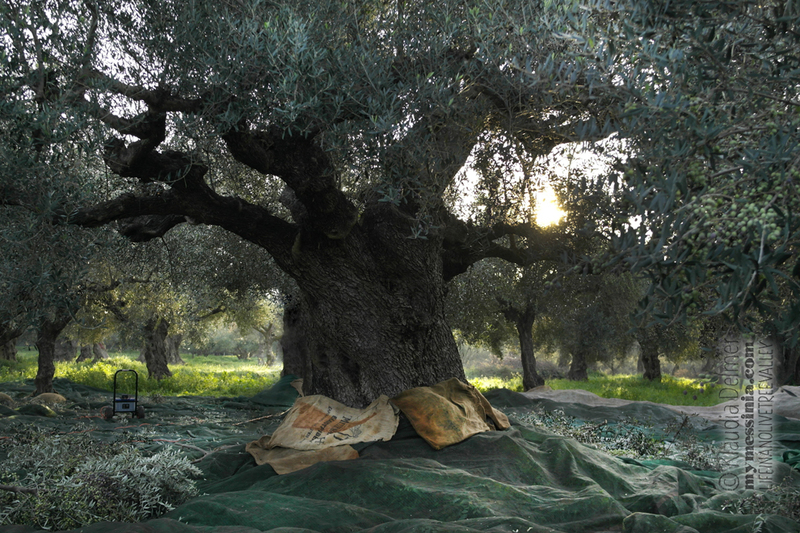 Every year you give me some and it’s my most treasured possession, and at the last drop, and during every time of using it, I imagine you, and the trees, and Greece and the unforgettable beauty there. 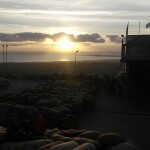 These photos are spectacular and your blog is amazing!